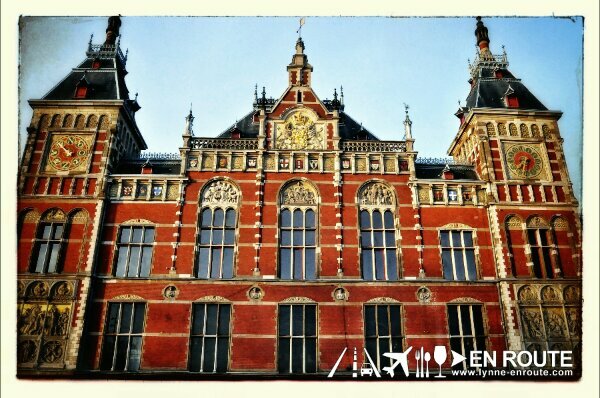 Ray: Amsterdam is just beautiful! The architecture from their old days are preserved and used even for new installation. Well, yeah there are some modern looking concrete buildings in some places, but most look like this one taken of Amsterdam Centraal Train station. Aside from architecture, it is their people that are just lovely. Their command of the English language is that of a well educated scholar, the courtesy is top notch, and the smiles you get from them as they talk to you are so sincere. They also seem to have a sense of humor. It is quite chilly now at about 9 degrees Celsius at day and 2 degrees at night. While our visit at the Imperial Ice Bar at Fort Bonifacio gave an idea how cold it can get, it is different when you are walking around the whole day. Still, this is a “cool” change. More pictures in new postcard soon! Lynne: The weather’s getting more bearable. (Or maybe it’s because we added one more layer of clothing.) We still can’t get enough of how picturesque everything is and how gracious everyone is. We stayed in the Leidseplein neighborhood – very nice, quiet, and pleasant to go home to. Vondelstraat park is lovely to pass by on the way to your lunch stop, which you can take at around 2pm since the sun is out so the cold is just right. Have a glass of a European beer and just enjoy people-watching. People have a fondness for dogs around here. We saw a lot of them being walked around while we took swigs of Leffe and Hoegaarden. 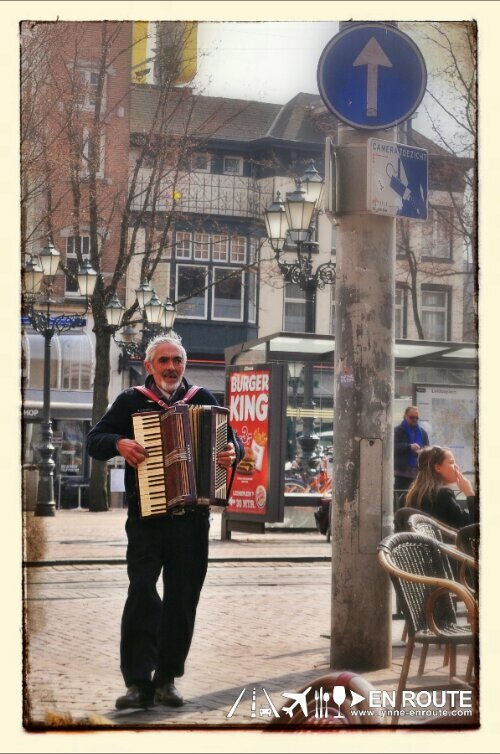 We even saw an accordion player! An actual accordion player! It’s almost the equivalent of a unicorn when it comes to musical instruments – you hear and know of it but actually seeing one is just so far out from happening. Oh, and just in case you’re wondering, we have passed some windows from the red light district. As for coffee shops, we’ll get to that after our lunch of shoarma and chips. Woah this kind of website is great i love reading your site content. Sustain the favorable pictures! You comprehend, lots of people feel the need all around because of this info, you may aid these people significantly. Thank you so much for the kind words! We hope that the pictures and stories we place have become enriching and worth sharing. Will be adding more. Stay posted in En Route 🙂 !